Coffee is a low-calorie beverage. 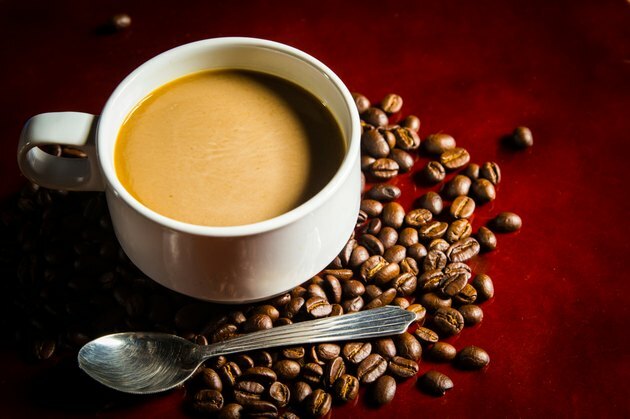 Most of coffee's calories are added when you add cream and sugar. For example, a Starbucks double Chocolaty Chip Frappuccino Blended Beverage weighs in at 410 calories for 16 fluid oz. But simple instant coffee with a tablespoon of milk can contain as little as 9 calories for a 6 oz. cup. One tsp. of instant coffee contains about four calories. Typically that teaspoon is combined with 6 oz. of water to make a cup of coffee. In other words, the calories in instant coffee with milk do not come mainly from the coffee. One tbls. of nonfat milk contains five calories. A tablespoon of 2% milk contains nine calories. Whole milk contains nine to 10 calories. Half-and-half contains 20 calories. If you prefer nondairy creamers, one packet, or 3 g, of light powdered cream substitute contains 13 calories. A tbls. of liquid cream substitute, containing hydrogenated vegetable oil and soy protein, contains 20 calories per tbls.